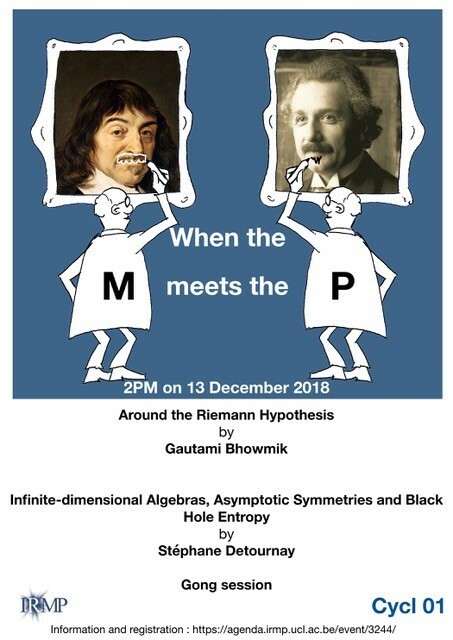 The annual "When the M meets the P @ the IRMP" event will take place on Thursday 13/12 from 2pm to 8pm. The traditional poster session by young researchers will be replaced this year by a gong session. During that session, some PhD students and post-docs from the institute will give a 5-minute presentation about their work or any material related to their work that they find is of interest for the audience.